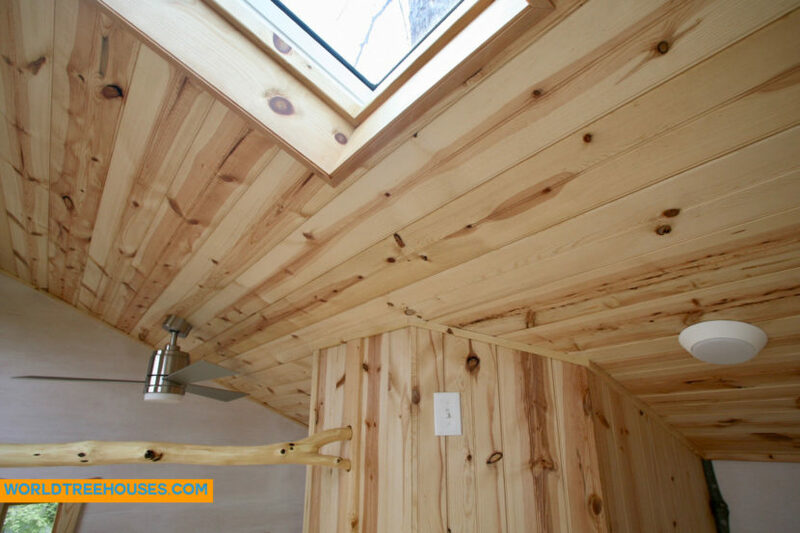 WNC treehouse, builder: Beautiful loft detail on our Asheville Downtown treehouse. Take a rest in the sky, looking out at the sky: check out these details of woodwork, taken from the loft of World Treehouses’ downtown Asheville NC treehouse project, recently completed. This treehouse is the first (and currently the only) permitted treehouse within Asheville city limits!